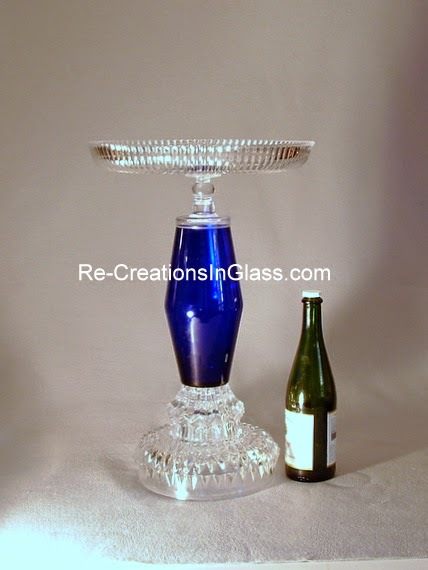 Re-Creations in Glass: "THE SANDRA"
This deep-blue pedestal stand can be used indoors our out. It is sturdy enough to hold a large wedding cake, potted plant, or flower arrangements. Also would be a good side table. Five pieces of re-purposed glass. This item is currently available for purchase at my Etsy.com store. If interested, please click this link.